Science Exchange connects buyers with service providers (like DTS!) to help lower the costs and turnaround times involved in conducting scientific research. The company was established in 2011 by Elizabeth Iorns, who holds a PhD in cancer biology, and Dan Knox who brings his business expertise to the team. Iorns reportedly came up with the idea for this marketplace while conducting research at the University of Miami. The company website, www.scienceexchange.com, states that the founders’ mission was to “democratize access to the world’s scientific expertise”. The company has been called the “Uber for experiments,” as it allows scientists access to literally thousands of verified labs, government facilities, CROs, and other service providers. Buyers are able to search the marketplace for very specific services (think “transgenic genotyping”, “transmitted light microscopy”, or “document translation services”), compare providers’ descriptions and ratings from past buyers, and then request quotes and initiate orders directly through the system. 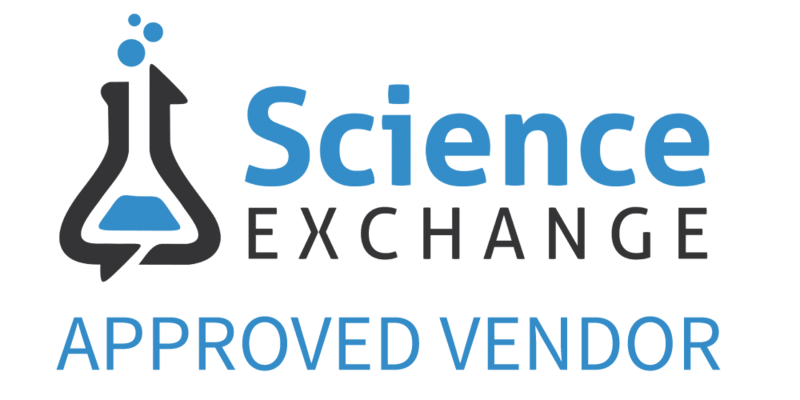 There are no membership fees for buyers– instead, Science Exchange tacks a modest service fee on top of the service provider’s costs on a per-project basis. Since its inception, Science Exchange has been producing great results. The company even made Forbes’ 2015 list of Most Promising Companies in America (#77). We are really looking forward to seeing what new opportunities our participation in this program might unveil and, even more so, to seeing how we might be able to help some of the smaller players who are trying to make big things happen in the life sciences industries. You can view the DTS storefront online.